Certainly one of the most exciting musicians to come out of Acadiana is Wayne Toups. From the moment he bursts on-stage with his accordion, Toups is going full blast and the show is only going up from there. In short, Toups will blow your dance socks off. His electrifying stage presence is due somewhat to his persona; often sporting a Hawaiian shirt, head band, and ponytail, he is a man in constant motion. It is also because he is a fantastic musician on his accordion, performing a brand of music he calls Zydecajun. As the name suggests, his style fuses the traditional Cajun country sound with the bluesier sound of zydeco, with a definite rock & roll twist and Cajun roots rock is what it is. Toups, born in 1958, was immersed in his Cajun heritage as a child in Crowley, LA. He started playing accordion when he was 13 and soon headed for the stage, performing the music of accordion masters like Iry LeJeune and Belton Richard. After a stint with Camey Doucet, Toups was inspired by him to try to reach a new generation of music listeners. He became a revolutionary: He created his own art form called Zydecajun. They’re essentially a Louisiana rock band. It’s just that instead of scorching, say, a Fender guitar, Wayne Toups torches a Falcon accordion. His Zydecajuns are equally comfortable at bulleting right along through a Cajun two-step – or whatever comes their way – with a fast, precise, fury. (Incidentally, for added blaze, a fire-fingered guitarist does reside in the band). Live 2009 impressively documents that insane energy, which still courses through Toups after all of these rebelliously rocking decades. The back-to-back-to-back manic panic through “Zydecajun Train,” “Sugar Bee,” “Johnny Can’t Dance,” “Sweet Joline,” and “Petite ou la grosse” is a prime example – and a non-stop inferno that had to have burnt down the Crowley Rice Festival. Yet soulfulness is but a downshift away, as was experienced by an Acadiana casino crowd with his ballad “Take My Hand,” the Cowboy’s Night Club with Van Morrison’s “Tupelo Honey,” and radio listeners with his new studio hit, the crossover country weeper “I Should Have Never Fell in Love.” But “Please Explain” is the showstopper, rocking from the initial drum solo on through a secret excursion into the Allman Brothers’ “Jessica” embedded within the flames of an 11-minute jam. There will be sweat. Toups and his boys put on quite a live show, but for those of us who can’t make it to one, the next best thing might be their latest album, Live 2009, now out on the Swallow Records label. It’s a 13-track collection of their best pieces, and includes everything from slow Cajun ballads to rip-roaring tunes like the opening cut, “Zydecajun Train,” which invites you to climb aboard for a pulse-pounding ride. That’s just one of several rollicking performances on the album, some of them newer pieces and others traditional, such as the always enjoyable “Johnny Can’t Dance.” Another that will make you itch to get to the dance floor is the aptly-named “Two-Step Mamou,” and if your dancing hunger still needs feeding, give it “Sweet Jolene,” which is much more rambunctious than its title might suggest. For something completely different, try “Please Explain,” drummer Janise’s explosive tour-de-force. But if you’re in a softer and slower mood, “Take My Hand” has some nice moments as Toups turns down the intensity a notch and proves to be a pretty good crooner. The same is true for the piece that closes the album, “I Should Have Never Fell In Love.” It’s spotlighted on the cover and described as a crossover country hit, and it does have echoes of honky-tonk. 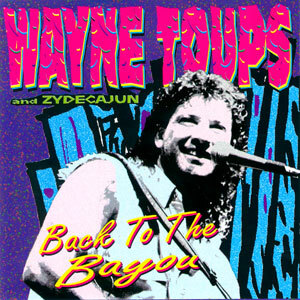 Good bayou sounds from Wayne Toups and the guys — highly recommended. 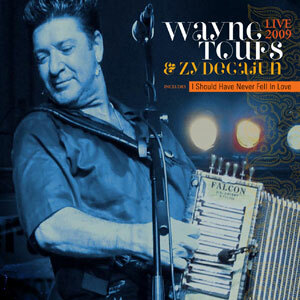 Wayne Toups & ZyDeCajun is arguably one of the premier examples of the melding of Zydeco and Cajun music playing right now and also one of the best live shows you will see. As good as this disc is, it pales to seeing their show in person because of the visual impact they make—their clothes, their antics on stage, the interplay of group members, and Wayne Toups acrobatics while playing the accordion. However if you are not going to southern Louisiana and they are not playing somewhere near you this disc is about the best substitute you can get. Live 2009 was recorded at four different venues, three of them are live, with the majority of the disc recorded at the Crowley Rice Festival (yes rice is a big deal in that neck of the woods) and one track is in a studio. Many times during live recordings the crowd is a distraction but here it isn’t and you can almost hear the band kick to another gear when the crowd starts to go crazy. Toups’ accordion and vocals, as well as the guitar of Tony Ardoin and Marty Broussard on steel guitar (not a common instrument in Cajun or Zydeco music), the keyboards of Don Hayes, power the band, and the beat is held rock solid by Matt Janise on drums and Chevy Foreman on bass. The sound is nicely balanced and the live crowd never intrudes or takes away from the music of the band. A very solid disc that shows the power and variety of this band. There is a good mix of tunes with some slower ones that allow the band to ratchet back the intensity, they even cross over into some Cajun Honky-Tonk.